A new trailer and poster have landed for writer-director Jimmy Hayward’s animated family movie, Free Birds. The story centers on two turkeys who couldn’t be more different, but are forced to team up and travel back in time in order to get their fellow birds off the Thanksgiving dinner table. I wasn’t expecting too much from this trailer considering the premise, but there were a few laughs to be found in this kid-friendly holiday flick. The humor shouldn’t have been that surprising considering that Owen Wilson, Woody Harrelson and Amy Poehler all lend their voices to characters. 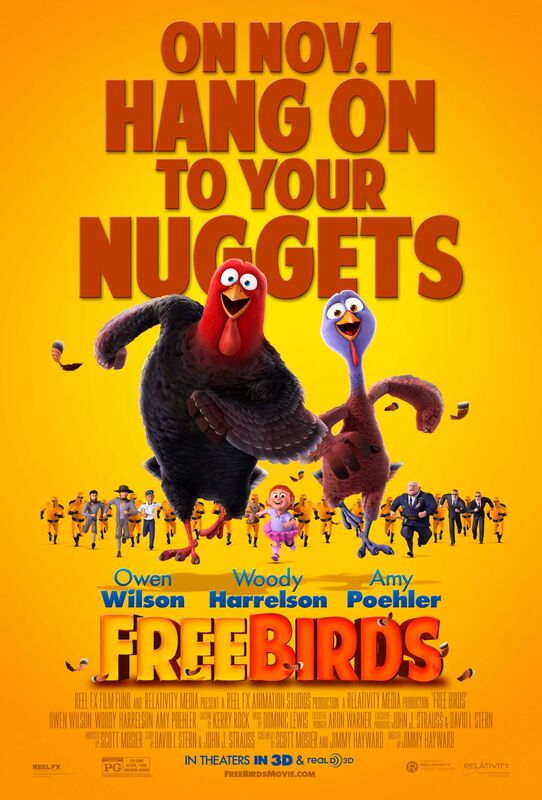 Free Birds opens in 2D and 3D nationwide starting November 1st. Hit the jump to view the new trailer and check out the new poster.